Perhaps the most rewarding part of writing Sixty Seconds: One Moment Changes Everything has been receiving so many wonderful e-mails from people all over the world. I have been taken aback, in a good way, by the enthusiasm and gratitude of so many readers. Receiving this feedback has been both gratifying and humbling. I hesitated before posting these testimonials—many of which were posted on amazon.com and barnesandnoble.com—because I’m not comfortable tooting my own horn. But then I realized that it wasn’t about me and that if I were a fan of the book, Id like to know what other readers had to say about it. So here are excerpts from the wonderful e-mails and reviews I’ve received. My thanks to everyone who has read and enjoyed the book. I’m serious Phil, I need to put the book down after every chapter and catch my breath—such powerful stories! Phil, I just wanted to let you know that every time I turn around, my nine-year-old daughter has her nose buried in “Sixty Seconds.” She loves it! I really enjoyed reading this book–the triumphs over the body, the emotions that each story touched made me laugh, cry and feel the sweetness of the heart and soul. These kind of stories give me courage and remind me of faith, like in the life-after-death stories, and of those hard decisions you make in life that only intuition can guide you, like in Echo Bodine’s story. It makes me believe in my fellow men. Phil Bolsta has a collection of personal triumphs here … each one unique and soul inspiring. If you’re ever down in the dumps, take this out and be encouraged again. Re-read and rejoice! PHIIIIIIIIIIIIIIILLLLLLLLLLLLLLLLLLLLLLL!!!!!!!!!!!!!! !THIS IS ME SHOUTING FROM THE ROOFTOP HOW AMAZING YOUR BOOK IS!!!!!!!!!!!!!!!!!!!!!!!!!!!!!!!!!!!!!! !I am so blown away. I feel compelled to buy it for everyone I know. When I closed it I felt like it had hugged me. It’s especially amazing that I read it at this point in time, when I have begun going to the Buddhist Center and getting my life aligned. Everything felt familiar. It’s like another sangha in there. I am so so so grateful that I ran into you on Twitter. I still am trying to wrap my head around all this magic. Your book recently came out here in Germany, and I found it just by looking around in the book shop. Actually, I ever wanted to read such a book with those stories! So I bought it, read it whenever I could, so I also did it in the coffee shop and cried and laughed within a crowd of unknown people waiting for their train. I loved the stories when people said, suddenly they knew, that everything is okay in this world, that it is perfect und there are no mistakes, because it always leads to something good. But I also loved the other stories, I like it what people have to say after they experienced a hard time, and what they have learned about it, what they have come to see about it. I made for myself the experience, that so-called bad times are good times, it really leads you to something good und fills you up with joy and gratitude and deep self-awareness – if you just let it happen and say sooner or later yes to it. Thanks for the book, and I would really like to read another one of it! I bought this book the day before my father died. Although my dad had been terminally ill for quite some time, I didn’t have any inkling that he would pass away the day after I bought Phil Bolsta’s book. All I knew was that I was overwhelmed with grief when I walked into the bookstore. Without thinking, I pulled Sixty Seconds out of the shelf, sat in a corner and randomly opened the book. My fingertips landed on a story about someone’s father dying. Phil Bolsta’s book was my companion during my long plane ride to say goodbye to my father’s earthly incarnation for the last time. I finished the book during that trip. It was extremely comforting. I have always believed that there is no death only life and Phil’s compilation reminded me of the beauty that awaited my father, the place where he now rests. Thank you, Phil for touching my life and the countless other lives I know your book will inspire. Sixty Seconds is a coveted invitation to a private party with 45 of the most extraordinary individuals, who share highly personal and poignant stories of how unpredictable moments impacted their lives, forever changing them. Each storyteller’s authentic voice animates an atmosphere of intimacy. I felt as though I were sharing privileged conversations with wise and trusted confidants. In addition to these magnificent, entertaining, and revealing stories, Sixty Seconds also features an elegant foreword by Caroline Myss, and wonderfully insightful commentary by Phil Bolsta that introduces each group of stories throughout the book. Simply put, Sixty Seconds delivers a master class in wisdom that belies the simplicity of its humble title. This is a collection of 45 stories of momentous changes in people’s lives brought about by experiences that seemed to take place in the twinkling of an eye. When we experience these special moments, all the pieces fall into place, releasing us to achieve what has been inside us all along. When that moment enables you to help others, you are doubly blessed. Can One Moment Change Everything? Through my own lifelong experience I know that to be true. Sixty Seconds: One Moment Changes Everything is beyond feel-good positive thinking. It can be life changing, and should not be missed. These stories have changed the way I think and brought me farther down the road of my spiritual quest. Thank you Phil Bolsta for compiling such an inspiring collection of stories from some of the spiritual leaders of our time. 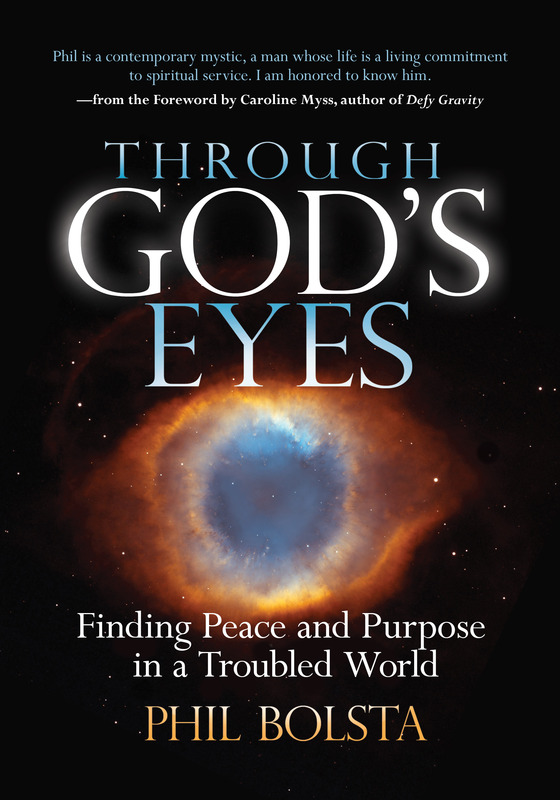 You finish one story, in contemplative awe, and then the next, and the next: “Wow.” This book demonstrates that at any moment we may be awakened, directed down a different path in life and transformed. Your book is a gem from cover to cover . . . Your book is so full of JOY. I could not read it without tearing up and so I can only read it when I am alone. em>I love reading stories, or books or whatever…that move my heart to tears. It reminds me that to feel deeply is be truly alive in the best sense. Thank you for this book. I’ve already recommended it several times and I haven’t even finished it yet. This is a terrific book about life’s purpose and our place in it. A very inspiring book to read and I recommend it highly. The one common theme I see in all the stories in Sixty Seconds is that life is perfect as it unfolds, that we need to be thankful for the blessings—and the pain, because they make us deeper, richer, more profound beings. And a lot more people than I would have suspected have communication with higher realms of awareness, either through dreams, visions, or intuitive messages. So, the stories show we are all united by a common thread of a higher nature. I definitely found these stories to be both interesting and thought-provoking. Most are short, from only 2-3 pages to a bit longer. . . . this is definitely a worthwhile read, especially for someone who is exploring personal/spiritual growth and who enjoys reading about the journeys of others. Thank you, Phil Bolsta, for this wonderful collection of memorable moments of grace from a variety of great spiritual teachers, thinkers, and activists for change in our time. What a rich collection of experiences that changed these peoples’ lives by opening up their eyes to previously unseen threads of reality woven through this life on earth! I shared many of the stories with my daughter, as they were such wonderful lessons for being a loving presence to the world. I loved slowly sipping from each interview–no matter what the experience itself was like, each author or interviewee is unfailingly honest and open and raw in speaking about it, which alone makes them unforgettable–and I loved how each little chapter was a reminder that illumination can come from the most surprising places. Let’s face facts, we are living in very challenging times to put it mildly. Once in a while, along comes a little book that holds major power within its pages, that has the potential to uplift and remind us of who we really are, and what really matters– Phil Bolsta’s SIXTY SECONDS is such a book. Bolsta, a compassionate man and gifted writer, speaks from the heart without devolving into nebulous new age-speak. Here’s my favorite part. Reading this book is like attending an afternoon get-together with some of the most remarkable people in the world, getting to speak with each of them and quickly establishing such rapport with each of them that they share a truly intimate life experience with you. I don’t know about you, but my invitation to that afternoon get-together hasn’t arrived at the house yet. Reading this book is truly the next best thing. Phil Bolsta’s SIXTY SECONDS: ONE MOMENT CHANGES EVERYTHING, with a Foreword by Caroline Myss, is a wonderful companion to take along on anyone’s spirit journey. The book’s greatest virtues are its crackling brevity and exhilarating inspiration. But what makes the book a stand-out, and star, are the 45 stories of spiritual focusing and awakening by prominent authors, healers, teachers, and business people. Reading [these stories] made me feel humble, reconnected to all of life, and grateful for my blessings and opportunities to be of service to others in this amazing life. In every way, Phil Bolsta has put together a great soul-gift! I’m enjoying reading and re-reading it. I’m sharing these stories with friends, and I’m reading them to my children. I cannot recommend the experience of this beautiful book highly enough! Sixty Seconds: One Moment Changes Everything by Phil Bolsta is one of the most amazing books I have read. This book has opened my horizon about what inspiration truly means to our journey on this Earth. The most profound experience I had while I was reading these stories is that I felt I knew these individuals more than I know some of my friends. It is very hard for me to pick which stories I love the most because all of the stories either deepen what I have learned or widen my perspective of life. Loved the book! It made me cry, it made me happy and made me feel hopeful! I am asking my husband to read it now and will then pass along to friends! I opened your book on Tuesday afternoon in the laundry room. I knew I had a good two hours of reading time to kill—I had to wash curtains, sheets, etc. After the first five pages I found myself in a puddle of tears. The humble honesty and funny verbiage used in your book warmed me in so many ways. I can’t remember the last time I cried from written words. I kept hoping that no one would enter the laundry room to see my story-induced sob session, but of course someone did. I told them a bit about what I was reading and we proceeded to share stories with each other about family, death and dreams. What a ripple affect. Thank you. I can’t wait to finish the book. I can’t tell you how much I’ve enjoyed Sixty Seconds. I think it’s brilliant. If the success of a book can be measured in the tears it extracts, you’ve hit the jackpot. I feel like you’ve put me, the reader, in the care of some of the most compassionate hands on the planet (yourself, obviously, among them), and I feel very grateful to you for making that happen. I was moved by so much that it’s hard to pin it down, but two that stick out are Christiane Northrop crying for every woman on the planet and Joan Borysenko’s gratitude for having a mother who she had to push against in all of the ways that made her who she is. Even the stories that I felt were not so directly “about me,” all—everysingleoneofthem—had a little gift in them just for me. Like Stephen Simon who is a complete success because of what he did for one girl, you are a complete success. I love your book! I am not finished yet but so far it is awesome. Every great once in awhile, I pick up a book that has “a life of its own”; it simply vibrates in my hands. Malidoma Some’s books have done that; so have Stephen Levine’s, and, now yours, too! The energy literally reverberated through the pages. How wonderful that you responded to the call to bring this project into form. Thank you for presenting and for bringing these amazing peoples’ stories to life. Whenever I am really ‘down’, I close my eyes and ask for a book that will help me. I don’t know if it’s my guides, my angels, God, or the Universe that answers my requests, but the right book always appears. Yesterday I checked the New & Noteworthy Books on our Kindle, and there it was! 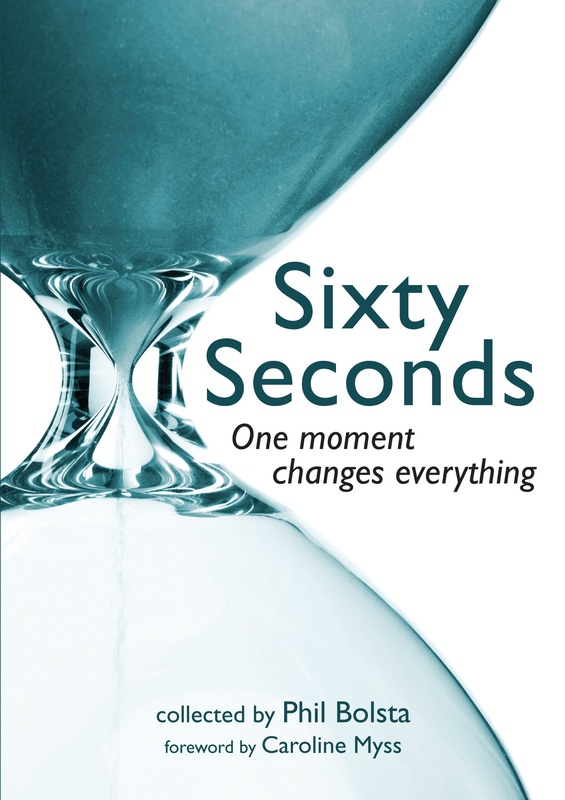 Sixty Seconds: One Moment Changes Everything, by Phil Bolsta. I knew that was the book I needed to read. I read Sixty Seconds in one sitting. I will go buy the actual book though so I can use a yellow highlighter throughout! This is one of those books I just want to hug. Maybe all of my cells will absorb the information I want to remember! I’m familiar with most of the authors of the stories, but this book lets me peek into their private lives. I just can’t tell you how much this book means to me. I thank everyone connected to it. Just finished your book, which I bought a week ago and would have knocked off in a couple of days if I hadn’t had a life! I loved it! I kept stumbling over one-liners I want to remember, so I had to stop and write them in a journal. I’m gonna have to pop for a copy to give my spiritual brother: He’s going to love it. I guess the best thing about your book is that—like Horton the Elephant (Dr. Seuss)—we often feel ‘alone in the universe.’ It is so awesome to recognize my own experiences in the words of others. So Thank You, over and over. Write some more! I am nearing the end of “Sixty Seconds.” And I’ll tell you, it’s a masterpiece. You have done a beautiful, beautiful job. I don’t know how you found all those people or how you picked them out, but their messages are something I think everybody should read. I remember being dunked in a freezing mountain spring in the bath at Lourdes by two burly assistants, and feeling a jolt of refreshing energy. That’s a little bit what reading this book is like. Every story inspires, much more so than I expected. My sister is a fan of Caroline Myss, me not so much, so I read her story about her being drawn to Sai Baba, and what happened as a result with great interest. I liked Doreen Virtue’s story about finding her life purpose, and in so doing saw a mirror of myself. Dean Ornish’s story resonated with my own in many ways. So, if you have a friend who is spiritually inclined, I suspect they would really appreciate this book, and I heartily recommend it. I just loved your book. It was hard to put it down and at the end, I wished there were more stories. These well-known people, who have become our teachers, show us that there truly are ‘no ordinary moments’ and anything is possible for all of us. Many thanks for this wonderful experience. Thank you for compiling such a book. Your goals for your readers to take away “a greater appreciation of the sacredness of life, a renewed commitment to become kinder and more compassionate, and a dedication to continual self-improvement” were accomplished, or at least for me. One of the nicest features of the book was the short length of the stories. It was easy to pick up and read for a few minutes and then put back down, and be able to read a story in its entirety. Almost like a sixty-second read. I recently finished your Sixty Seconds book and absolutely loved it. I was actually sorry that I was finished reading it. I love that they are short stories—I am a slow reader—so it gives me a feeling of accomplishment to get thru each one. Short and sweet and meaningful. This entry was posted on November 11, 2008 at 12:02 AM and is filed under See INDEX categories above. You can follow any responses to this entry through the RSS 2.0 feed. You can leave a response, or trackback from your own site. Phil, I hope more people learn about your wonderful book. You know me as an avid Charice addict. You can now count me as a Phil Bolsta fan also. I recently purchased an Amazon Kindle II and the first book I downloaded was “60 Seconds, One Moment Changes Everything” I really enjoyed the book. All the stories were very uplifting and also excellently written and enjoyable. Being a Veterinarian, I particularly enjoyed Peter Russell’s encounter with a pod of dolphins. I enjoyed the book so much I went to Barnes and Noble today to buy a copy for a good friend who has a 14 year old daughter who is confined to a wheelchair due to having a brain tumor removed at 9 years of age. Thank you for your kind comment, Fred. I’m so glad you enjoyed the book!